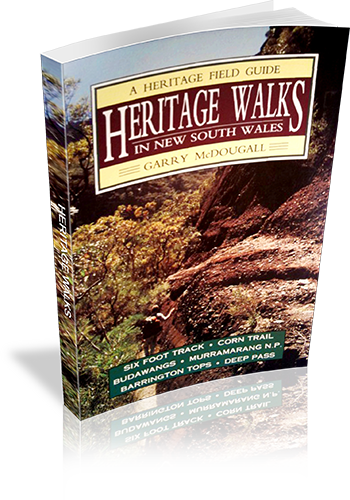 A guide to seven historic walking regions in NSW. Much information is shared regarding human and environmental heritage in each region, and many walks are described in varying levels of detail - some giving just a sense of the walk, others describing the author's experiences, uncluding navigational and interpretive information. Niche: Walks linked with human or environmental heritage. Walking map Comment: Maps provided for each region, however additional maps would be required for most walks, as stated by the author.